We’re well aware of Charles Darwin and his theory of natural selection which he published in his landmark 1859 book, On the Evolution of Species. But he was not the only one to develop this theory. Similar ideas were also being developed during this time by Alfred Wallace, a self-educated naturalist from Wales. Starting in 1848, Wallace spent four years in the Amazon on an expedition he had organized to collect specimens for rich collectors and museums. As luck would have it, his return ship caught fire and sank. He spent the next ten days at sea in an open boat before being rescued. Unfortunately, almost all his specimens were lost. And though he was disheartened and vowed to never travel again, two years later he was off to the East Indies on an incredible odyssey that would consume him for the next eight years as he amassed over 125,000 specimens. During this time he identified the dividing line between Asian and Australian fauna which is known as the “Wallace Line”, prompting some to dub him the father of biogeography. In 1855, Wallace put together some of his ideas and discoveries in a paper that outlined the principles of evolution. Darwin was initially unimpressed after reading the paper, but it did prompt him to start putting together his own book on evolution. In 1858, Wallace sent another paper to Darwin. Although he was weak with malaria, he had experienced an epiphany regarding natural selection: that because populations would always outgrow their food supply, hunger and famine was unavoidable, but those that were best-suited to deal with such a situation would survive and pass on their good traits to future generations. Darwin could no wait no longer. 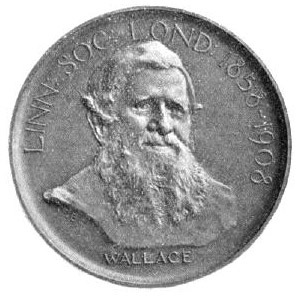 He took Wallace’s paper and an outline for his book along with some of his previously-unpublished writings and presented them jointly to the Linnean Society in London. A year later, with Wallace still in Malaysia, Origin was finally published. When Wallace eventually found out that his paper had been published without his knowledge, he was happy to have been included with the more-famous Darwin. Wallace would return to England in 1862 and finally go to meet Darwin. Some have tried to claim over the year that Darwin stole ideas from Wallace or that there was a conspiracy to deprive Wallace of the credit he was due for his contributions to evolution, but these are without merit. Wallace was to be one of the most loyal defenders of Darwin’s Origin. He wrote Darwinism, which explained and defended the theory of natural selection and became his best-known work. And while today we consider them cofounders of evolution, each had their own approach. For example, Darwin emphasized competition between members of the same species to survive and reproduce, while Wallace emphasized species adaptation as a result of environmental pressures. 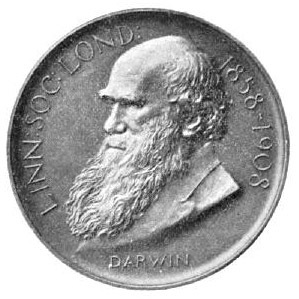 Throughout Darwin’s life they remain on friendly terms, corresponding and discussing evolution until Darwin’s death in 1882.